So Halloween is here and it is going to be fun. As I was carving my pumpkins last night I realized that they will get all of their use just sitting there looking good. What if you could get some better uses out of your pumpkins? 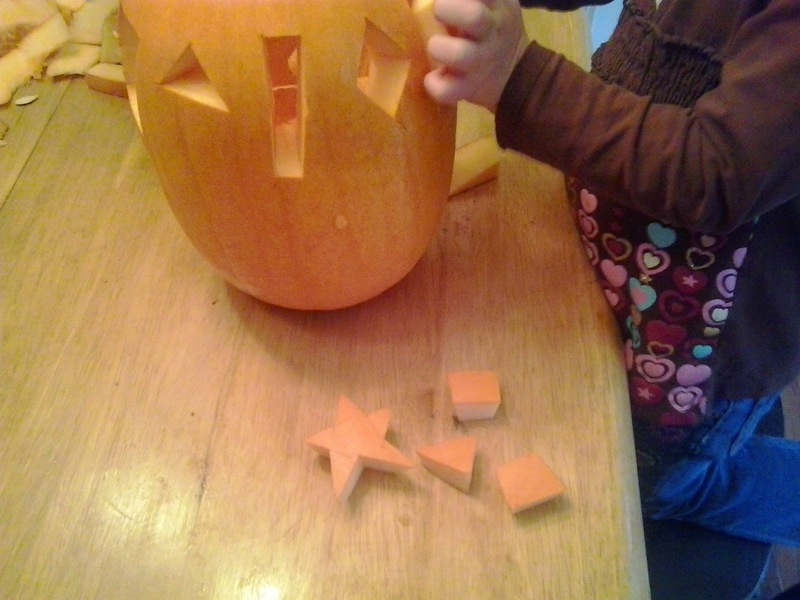 The kids absolutely loved my idea to make a pumpkin puzzle. 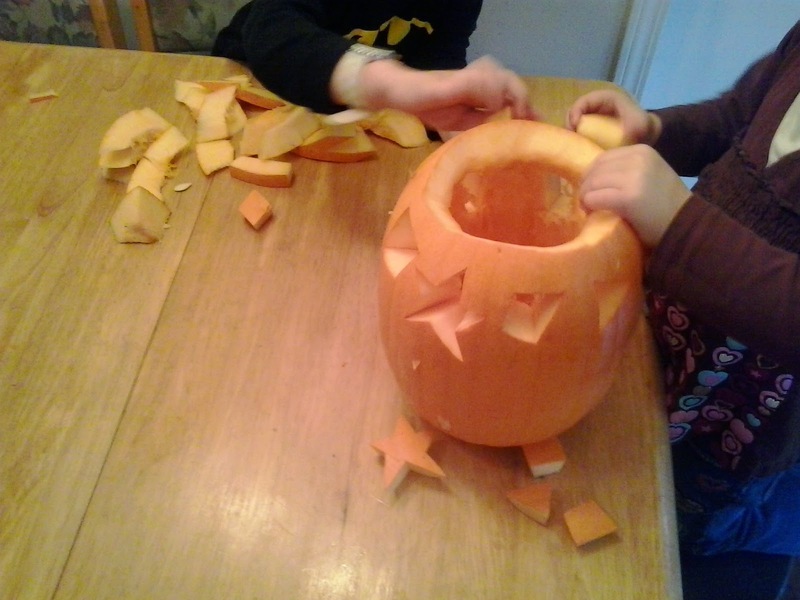 Simply cut out some simple shapes in your pumpkins and let the kids pop them back in. My kids sat at the table for hours playing with their pumpkin puzzle. The truth about tampering with Halloween candy!